This lively, intelligent cat can be a handful, but its likability is evident in the fact that many people who adopt one Mau go on a waiting list to get another. Spotted with “mascara lines” along its cheeks, the Mau comes in five colors: smoke, silver, bronze, black and gray-blue. Maus have spotted fur and spotted skin (a shaved Mau still has spots), and look somewhat like the Ocicat. Maus are medium-sized and short-haired, with a lean, muscular appearance, almond eyes (usually green) and a wedge-shaped face. There is a large difference in size between female and male Maus, with the males weighing 10-14 pounds and the females just 6-10. The Mau’s hind legs are slightly longer than its forelegs, enabling it to run faster. Maus are the fastest runners of all domestic cat breeds at speeds of 30 miles per hour. Their longer rear legs make the Mau look as though it is walking on tiptoes. Maus often don’t lose their baby teeth until their permanent teeth have emerged, which means that they can have two sets of teeth between four and seven months of age. The Egyptian Mau is frequently depicted in Ancient Egyptian artwork and was probably the first domesticated cat in the world. A subspecies of the African Wild Cat, the Mau (which takes its name from the Egyptian word for cat) was domesticated in ancient Egypt and played a significant role in Egyptian religion and mythology. It is likely that Egyptians first came to value these cats for their ability to kill dangerous snakes and protect grain stores from rats, preventing famine, but later came to love them for their friendliness and quirky personalities. Maus were worshipped, cherished and protected under the law in Ancient Egypt. When they died, their owners had them mummified. Egyptians shaved off their eyebrows to mark their grief at the loss of a beloved cat, and anyone who killed a cat, even by accident, was put to death. In 1956, several Egyptian Maus were brought to North America for the first time by an exiled Russian princess named Nathalie Troubetskoy. More Maus were imported later on, and the breed was soon established. However, Maus are still relatively rare, with only about 3,000 worldwide. Maus are exceptionally strong for their size, and very active, intelligent and alert. They enjoy spontaneously attacking household objects and engaging in lively play. If not provided with plenty of toys, they will turn their attentions to an owner’s knickknacks. Maus usually know exactly where their toys are, and many of them are adept at opening cupboard doors to access their belongings. Maus are very affectionate and require a lot of attention. Many like to “kiss” the faces of their humans and perch on shoulders. The Egyptian Mau is extremely loyal and devoted to its human companions, and also very possessive of them. This cat expresses happiness by wiggling its tail rapidly. Maus make unusual vocalizations such as chortling or trilling sounds when they are pleased, or when asking their owners to provide something, such as food. They are also inclined to make chirping sounds similar to a bird when they see something exciting or are in a good mood. If someone who is not a cat person comes to visit, a Mau will usually try to win him over by sitting close, crying for attention or even bringing toys. Maus are one of the few cat breeds that will actually play “fetch,” much like a dog. Many will not only tackle a catnip mouse thrown by an owner but also bring it back to be thrown again. It is commonly believed that Egyptian Maus love water, but this is not always the case. Some Maus like to get in the shower or bathtub, but others will avoid this. Most Maus like to dabble in water, dipping their toes or drinking from faucets. They prefer flowing water fountains to stationary water in bowls. Many Maus use a paw to test their drinking water before taking a sip. It is believed that this behaviour stems from that of the Mau’s ancestor, the African wildcat, which urinates in streams so that predators will not get its scent. Given this historical behaviour, it is quite sensible for Maus to check their water before drinking. Maus are very demanding when it comes to food, and in some cases this can lead to obesity in this otherwise lean cat. 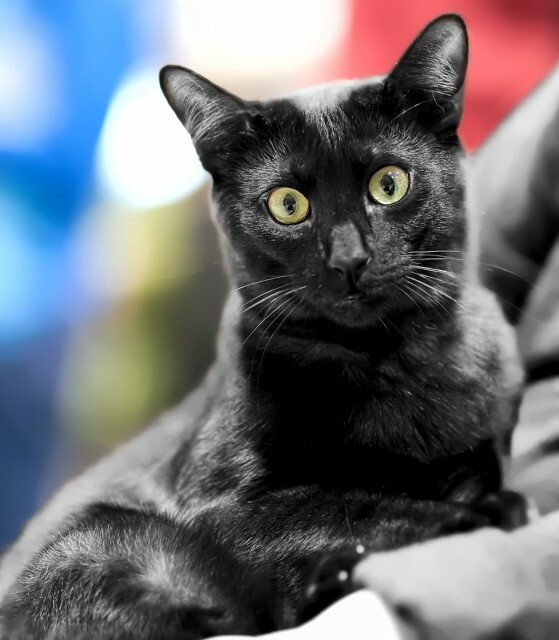 Owners need to be careful not to give in to the Mau’s demands if they notice that the cat is gaining weight rapidly. Most Maus prefer very warm temperatures. They are quite sensitive to cold, as well as to various types of medicine that have less pronounced effects on other breeds. Maus are also more likely to suffer from food allergies than other cat breeds. Brocksom, D., Cat Fanciers Association. (31 May 2007). “Breed Profile: Egyptian Mau.” CFA.org. Exotic Cat Network. (n.d.). 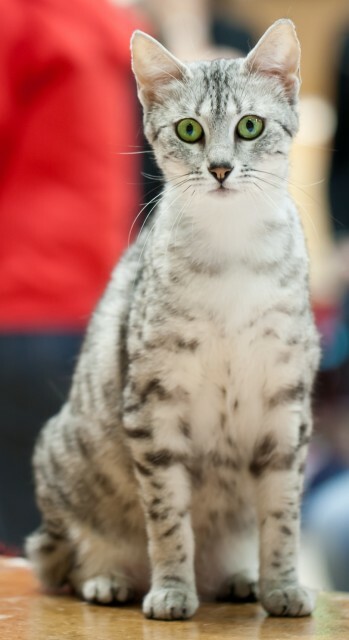 “The Egyptian Mau Breed.” EgyptianMauBreed.com. P&G Pet Care. (2006). “Egyptian Mau.” US.Iams.com. Food allergies to I know chicken and I think think white fish and peas, but does anyone know how I can find out exactly what they are allergic to, what else, I have tried limited and different proteins and they still shake their heads and I have had them at the vet, but they said that they is nothing wrong with them, my little mau girl she will shake her head and she will just jump and run with out any reason, so I think they are both suffering from hot spot from their food Allergies, I need help for my babies. I have two Maus from a breeder in Michigan. One of them has a clear chicken allergy. This is evident in his loose stool after eating chicken. We suspect seasonal allergiesas as well but we’re not sure. Our vet said his chicken allergy child reflect a poultry allergy so we cut out duck and turkey. Now we wondering if we also need to eliminate his Merrick wet foods which contain dried egg whites, which child be aggravatinga chicken allergy. If you haven’t yet scrutinized your food labels closely, I recommend doing so. It’s very hard to find foods with no trace of poultry. Thanks for the reply. I guess if they are allergic to chicken, I guess I poultry, because I cut out the chicken, and someone said give them limited ingredients turkey and duck should be ok, so I quit giving them, poultry and just giving them rabbit and kangaroo and sardines, they are allergic to peas and eggs, and whitefish, and any proultry. They don’t have loose stools, they just itch and shake their heads, they will still sometimes have scratches on their faces. I do have them on probiotics, and it is helping. I am still giving them different proteins. I wonder if they are allergic to white fish, if they would also be allergic to all fish? Right now I have them on several different brands of foods. To mix things up for them to make sure they don’t get bored.